Palm Royale~CC Available April & May 2019! Located behind the gates in this secure Executive Golf Community with beautiful views of the surrounding mountains is a private One-bedroom, down stairs, condo on the 8th fairway of a Ted Robinson designed Golf Course. Features include 18-Holes of Golf and Pro shop. Lighted Tennis Courts on site and walking distance to the World Famous Indian Wells Tennis Garden Stadium. Perfectly located downstairs unit with covered patio to enjoy the spectacular mountain and golf course views, BBQ, and the sun on the 8th Fairway. New upgrades keep the unit and furnishings fresh. Inside Washer and Dryer. Blu-Ray for 55" flat screen in living room. Flat screen in bedroom. Wi-Fi throughout the unit and patio. New Comfortair Sleep number King size bed, adjust your sleeping preference on each side for a great nights sleep. 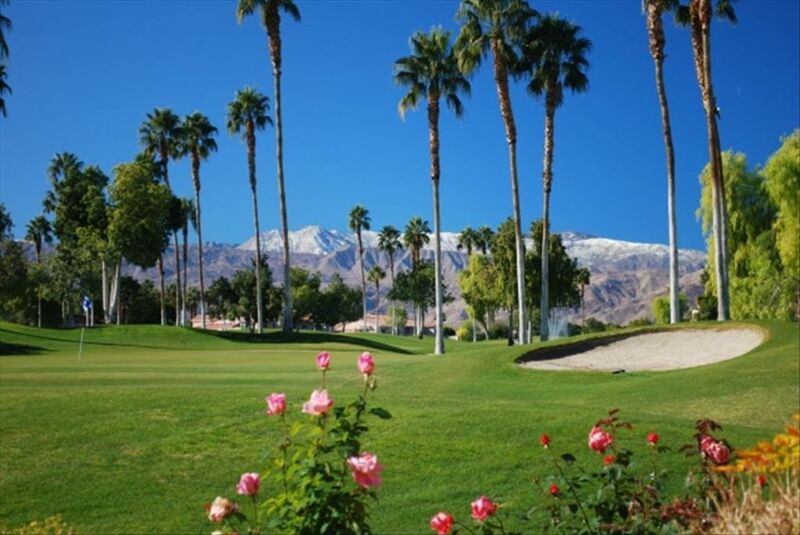 You are just minutes away from World Class Shopping (El Paseo), Dining, and Golf in the 'Playground of the Stars' in the beautiful Coachella Valley. Enjoy swimming and sunning in your tropical pool with cascading waterfall or play Tennis both Day & Night on your lighted Tennis Courts. The hiking in the area is spectacular. My wife and I enjoy using our condo when it is not rented and we make sure that everything is up to the great standards we expect for ourselves and for your enjoyment too. Right on the Eighth Fairway. Condo was very clean, kitchen fully supplied. Nice Plato that we were able to avoid the direct sun, which we peferred. Easy access in and out of resort. We enjoyed our stay in Palm Royale. The unit was clean and well equipped with everything needed for our month there. The location is very convenient for golf, tennis and shopping. Ken quickly answered any questions we had and was easy to deal with. Holiday stay on the golf course. The condo was comfortable for two, and nice to be on the golf course with patio in the sun. Owner was very accommodating and I enjoyed golfing the par 3 course. Place was beautiful! My girlfriend and I went down and stayed in the Palm Royale Condo for Coachella Weekend 1 (4 nights). No surprises, everything was just as we expected. Very clean and very comfortable. A perfect, cozy little abode for a romantic getaway. The owner was very thorough throughout the entire process from the initial conversation to checkout. I recommend this place to anyone trying to get away for a while, enjoy the sun, play golf, party, whatever your heart desires. We are definitely going back! The condo listing and photos were very good regarding appearance and location. Everything was clean and the owner was helpful in answering any concerns.We enjoyed nearby restaurants, Casey's and the Jackalope Ranch and attractions--The Living Desert and Shields Date Farm. We would recommend this condo to friends.